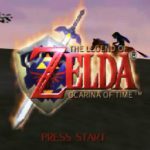 In 1998, the world was given one of the most revolutionary games ever: Ocarina of Time. Everything about this title would change how not only Zelda games but other games would evolve in time to come. To me, however, I think the best thing about this game is its outstanding soundtrack, and to this day it’s inspired numerous covers and interpretations. One year later, the Hyrule Symphony album was released, covering 12 tracks from Ocarina of Time with a string-based orchestra, and if you haven’t heard it yet, allow me to catch you up on what you’ve been missing out on. Even though I was a little late to the party with Ocarina of Time, being literally four years old when the game originally released and not being able to get my hands on it until I was fourteen, I was very familiar with the music once I discovered The Legend of Zelda for myself. I was constantly looking for new tunes from the games I had yet to play, and tracks from Ocarina of Time kept popping up everywhere. While listening to several different versions of “Zelda’s Lullaby,” I stumbled upon the Hyrule Symphony’s version and instantly fell in love. The piece is played magnificently with just strings, harp, and, of course, the ocarina. It’s played at a slower pace, much like a lullaby should be, making it very soothing to the ear. The instruments all playing different parts are woven together so well! The styling of the music really brings the original scene of meeting Princess Zelda to life. And to think, this was just the beginning. I quickly scanned through the album and listened to the rest. While I’d love to share every track with you, I think I’ll pick two more of my personal favorites. The next piece is the “Lon Lon Ranch.” This one really made an impact on me and to this day is my favorite cover of this iconic tune. The vocals on this track were so soft and beautiful, it really stood out compared to the original track’s clearly synthesized voice track. Don’t get me wrong, I love Malon’s “singing,” but I think that Hyrule Symphony’s vocalist is what Malon would really sound like. The strings, like all their other tracks, really bring the piece together and make it feel complete. The last piece I’d like to share is their rendition of “Kakariko Village.” At first I found this one odd because it only played the first part of the song and did a strange, new bridge specifically for their cover. I personally find the bridge of the original track to be quite beautiful, but even with it gone, this song is gorgeous. Kakariko was always a calm and charming town and this cover perfectly matches that theme. Several times I put this on when I needed something to listen to while falling asleep and sure enough this relaxing melody did the trick. I know I picked the more somber tracks of the album, but they also do more upbeat pieces like “Hyrule Castle (Market Place),” “Zora’s Domain,” and “Gerudo Valley.” Strings like violins and cellos have always been my favorite instruments, so hearing covers mainly featuring these instruments was such a pleasure. I’ve been listening to these tracks for about 10 years now, and I don’t see myself tiring of them any time soon!